It was revealed late last year that John Wick 3 was in the pre-production process and that casting would be taking place soon. Now, a new report has revealed that the third installment in the franchise has a working title of Alpha Cop. The incredibly popular John Wick series was a surprise hit for Keanu Reeves. Following the box-office success of John Wick: Chapter 2, which made nearly $170 million on just a $40 million budget, it was quickly announced by director Chad Stahelski that a third installment was in the works. Fans have been waiting for more information about the third installment and it now looks like things are progressing right on schedule. Omega Underground reports that John Wick 3 currently has a working title of Alpha Cop after announcing last month that the movie was in pre-production with Chad Stahelski acting as the "self-proclaimed" prep director. It hasn't been officially announced if Stahelski will be back on board to direct, but it certainly seems that he will be. The new report also reveals that production designer Kevin Kavanaugh, who also previously worked on John Wick: Chapter 2 and The Dark Knight Rises will be returning for John Wick 3. There are no current official production start dates or locations, but it is assumed that John Wick 3 will start up some time in the spring or early summer in New York City. However, Keanu Reeves has hinted that the production could end up in some international locations including Jerusalem and Tokyo. 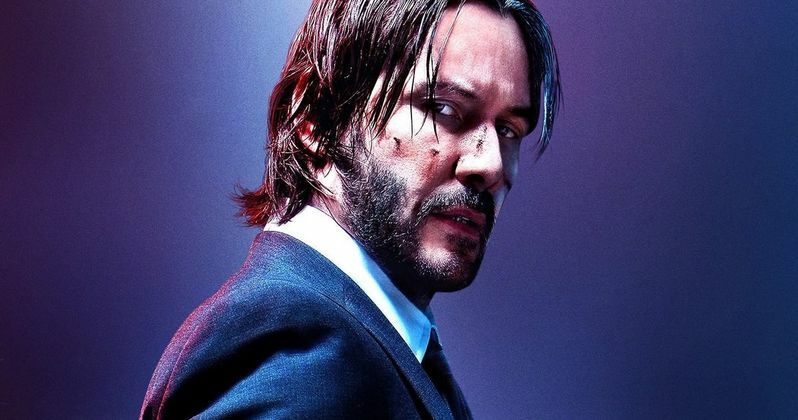 Reeves recently said that he wants John Wick 3 to see the character trying to escape New York while also setting off a type of war in the city. These are not official plans in any way, just what Keanu Reeves has spoken about wanting to see in the movie. John Wick: Chapter 2 explored how John was able to retire, and showed viewers the consequences of such a decision, as John is forced to go back into action after losing both his home and his car. Chad Stahelski has said that the third and final chapter of the series will go deeper into John's past, mentioning that we'll see something about the High Table and "how that all works." In addition the director says that the movie will tell where John comes from and "where he wants to go." There's not a whole lot of information to go off of, but Chad Stahelski and Keanu Reeves aren't about to spoil any surprises. John Wick 3, aka, Alpha Cop, has an official release date of May 19th, 2019. As previously noted, the project is currently in pre-production and will more than likely see the return of Chad Stahelski at the helm. Except more news regarding casting to and an official production start date to be revealed really soon. While we wait, you can check out some more information about the working title and production details of John Wick 3 via Omega Underground.